The kittens have adjusted quickly to the space and freedom they have in their own room in the house. 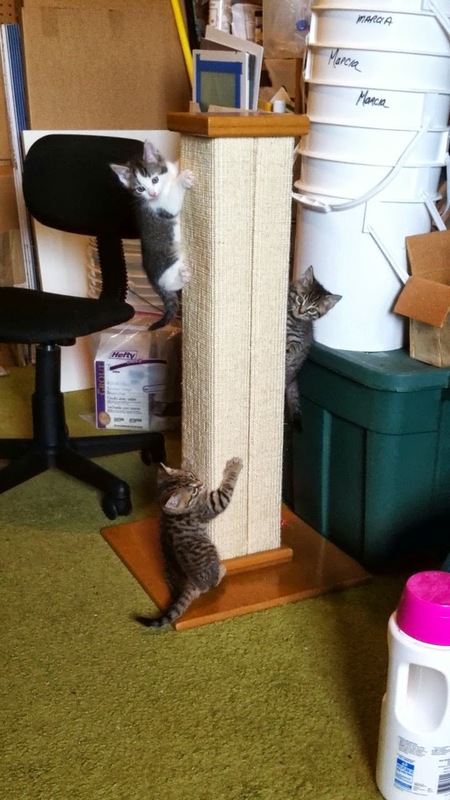 They spend a lot of time chasing each other, but their favorite activity is climbing Suki's scratching post. And of course, the most fun is when all three of them attack the post at the same time. See the video clip to see them in action.